Life would be far simpler if every area could be cleaned the same way to the same standard but that is not the case. One illustration I like to give in my workshops is to ask attendees if the room we are in is “clean.” The following discussion proves the point that each person in the room has their own opinion of whether is it clean enough to meet their expectations. When I ask if the room is clean enough to delivery a baby, make microchips or work on a truck, the discussion focuses on many different factors including use of the room, health standards, age of building and even how it should be serviced. Remember that the final judge on “clean enough” is the customer. Unfortunately they can have as many different opinions as the prior mentioned class when it comes to what is clean. A wise BSC will interview the key tenants to determine what are their “hot buttons.” These usually include items such as front door glass, entrance matting, corners and of course rest rooms (both stocking and/or cleanliness). 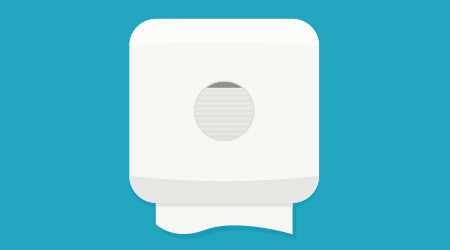 As stated before, a restroom that smells dirty is dirty in the mind of the user regardless of the time spent servicing it. It will do the BSC little good to argue that they cleaned it as per the contract if the results are unsatisfactory in odor or appearance outcome. We have to focus on outcomes and how best to achieve them. Determining what standard to training workers to achieve can mean success or failure in a custodial operation.